Gold Fields’ Granny Smith gold mine east of Laverton in Western Australia will soon boast what’s claimed to be one of the world’s largest hybrid microgrids. Gold Fields had previously contracted Aggreko to design, construct and operate a solar power + battery storage system that will be integrated with an existing 24.2 MW gas fired electricity generation at the site. More than 20,000 solar panels will be installed (8MW total capacity), along with a 2 MW /1 MWh battery system. 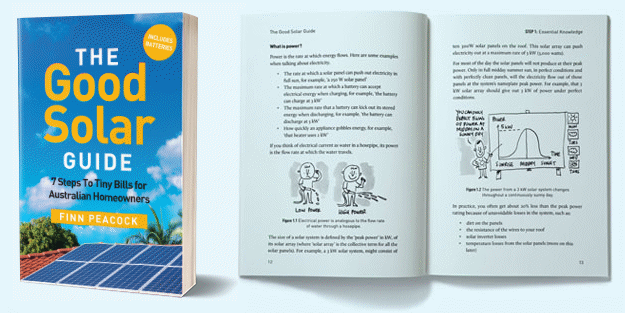 The solar PV aspect will reduce thermal generator use, while the battery storage will provide essential services including transient voltage/frequency support. “The solar-plus-battery system is projected to reduce fuel consumption by 10-13% – the equivalent of removing 2,000 cars from the road – and produce about 18 GWh of clean energy per year,” said Aggreko AusPac Managing Director, George Whyte. 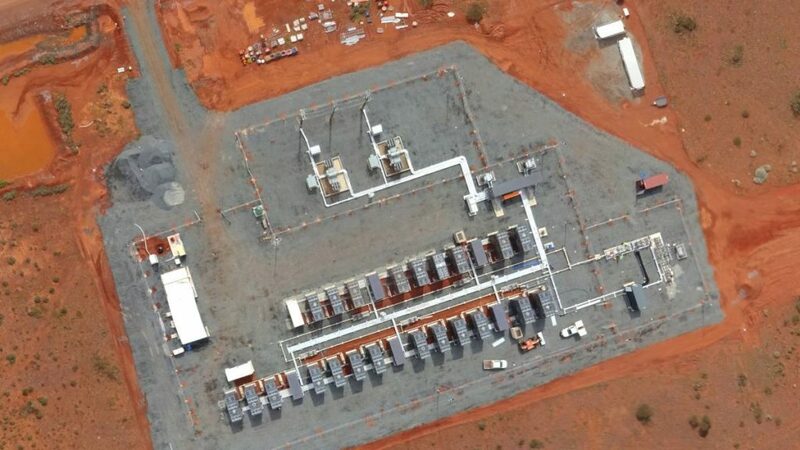 Gold Fields Executive Vice President Australasia, Stuart Mathews, said enough energy will be generated from the installation to nearly entirely power the mine’s processing operations (assumed to mean equivalent of). Mr. Mathews had previously stated the project will contribute to the company’s commitment of using renewable energy for at least 20% of total life-of-mine energy requirements in new projects. Aggreko is well equipped for the project. In addition to its PV experience, in 2017 it acquired German-U.S. developer of battery technology and energy storage solutions, Younicos. To that point, Younicos had deployed 220 MW of battery storage capacity around the world. After the acquisition Younicos first operated as a subsidiary, then was fully integrated into the Aggreko’s microgrid and storage solutions unit. The Granny Smith installation is expected to commence in May and be operational by the final quarter of this year. Gold Fields’ energy spend accounts for a significant portion of the company’s operating costs – 17% in 2017 and 19% in 2016. Among the company’s 2020 aspirational goals (from 2018) is achieving 5% to 10% energy savings off its annual energy plans each year and 17% carbon emission reductions; equivalent to 800,000 tonnes of carbon dioxide equivalent (CO2-e) of cumulative carbon emission reductions over the period. A 2017 Deloitte report stated mining companies can slash their energy costs by up to a quarter in existing mines and 50% in new operations when using renewables as a major component of an effective energy management program. It warned companies putting off the integration of renewable energy could wind up as high cost producers. Next Article: Is ARENA Wasting Your Money On Useless Consultant Reports? It’s worthwhile to use solar and batteries in WA even though natural gas is around half the price it is in the eastern states.